Turns out it doesn’t hurt any less when the book the judge throws at you is an ebook. U.S. District Judge Denise Cote on Wednesday handed down her ruling in the case between the Department of Justice and Apple over ebook price-fixing, saying that Apple conspired with the five major publishers to raise rates. A trial on damages will be held to decide how much relief the U.S. government and a coalition of U.S. states are entitled to. The five major publishers—Hachette, Macmillan, HarperCollins, Simon & Schuster, and Penguin (which has since merged with Random House)—all chose to settle the case with the government and states before the trial kicked off last month; as part of the settlement, they are now required to submit for approval any ventures undertaken in collaboration with other publishers. Apple was the only defendant to go to trial, but the company maintained that it had done nothing wrong. “We’re not going to sign something that says we did something that we didn’t do, so we’re going to fight,” said CEO Tim Cook during an interview at the D11 conference in May. 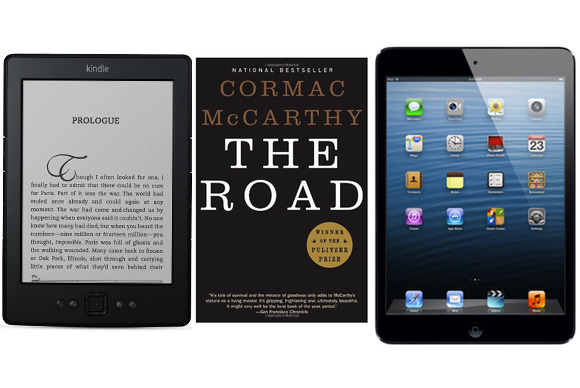 The trial itself had its ups and downs, with testimony coming from Apple executives like Eddy Cue, publishers like Penguin CEO David Shanks, and even Amazon personnel like Russell Grandinetti, the retailer’s vice president of Kindle content. Still unclear, of course, are the long-term ramifications of the decision. Most likely to benefit is Amazon, who was alleged to be the target of the collusion between Apple and publishers. But some reports suggest that Amazon has already started to raise prices. Updated at 7:19 a.m. Pacific with comment from Apple.